26 Oct, 2017 by	Margaret M.
Ladies and gentleman, I’m shocked to bring you the news that racist tone-deaf Democrats working in the mainstream media are next on the chopping block of the recent purge of sexual predators. 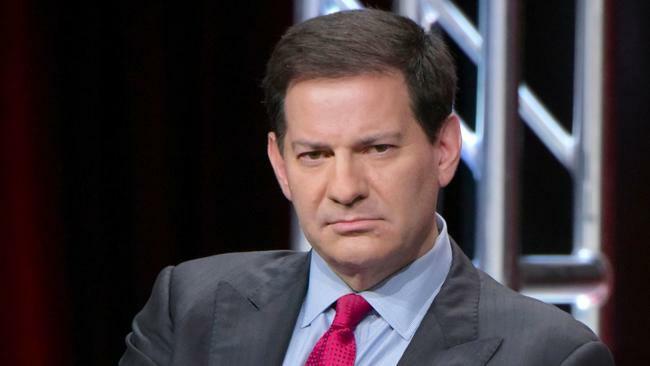 Journalist and author Mark Halperin was removed from his role at MSNBC after a new report came up stating that he had sexually harassed five different women during his time working for ABC news. The women who have come forward worked with Halperin back when he was the political director at ABC in the early years of the 2000s and they have told CNN that Halperin had propositioned and inappropriately touched the women in question. Three of the women said that Halperin had “pressed up against them” while sporting an erection. At the time, the women did not speak to ABC’s human resources and they are all agreeing to speak with CNN provided they are given anonymity. And Mark isn’t arguing it. And due to the current circumstances (that is, due to the fact that his female underlings are going public about basically getting dry humped at work), he will “take a step back from my day-to-day work” while he deals with the situation. Mark, 52, currently lives with his girlfriend Karen Avrich in New York City. In January of this year, Karen gave birth to their first child. We’ve written up Mark Halperin before. In the spring, HBO announced that they would be producing a movie or miniseries about the election based on a book written by both Halperin and John Heilemann.